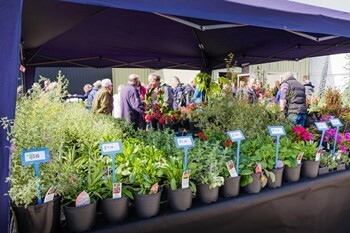 More than 5,500 gardening enthusiasts flocked to the Cornwall Garden Society’s (CGS) 2019 Spring Flower Show at The Royal Cornwall Showground in Wadebridge this weekend with visitors, traders and organisers declaring the event a triumphant success. The new venue wowed the crowds with its quality, variety, space and ease of access, and a happy atmosphere pervaded the Show throughout. 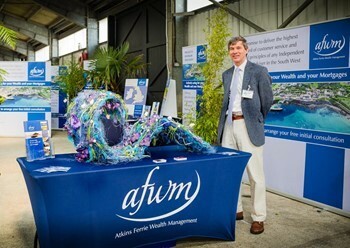 Sponsored by Atkins Ferrie Wealth Management and described by The Daily Telegraph as one of the best flower shows in the UK, this highlight of Cornwall’s horticultural calendar welcomed gardening experts and novices alike from Land’s End to the Tamar and beyond. 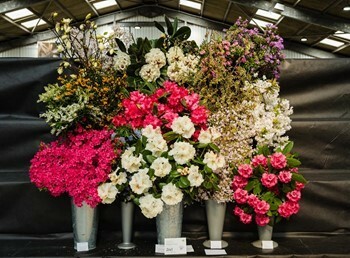 With a record number of entries in the Competitive Classes, which offered kaleidoscopic spring colour through spectacular displays of camellias, daffodils, magnolias and rhododendrons; floral art and photography, the Show also attracted more than 130 specialist nurseries and gardening-related trade stands from Cornwall, the south west and further afield. From exquisite cut flowers and rare and unusual shrubs to vintage tools and garden sheds, The Plant Pavilion and Horticultural Heaven presented much to tempt Cornwall’s gardeners, many of whom departed the Show laden with plants of superlative quality and interest. The Artisan Area also proved popular with its eclectic array of artwork, ceramics, jewellery and illustration, whilst the cornucopia of Cornish food and drink kept everyone fuelled in the Picnic Area. The CGS’s charitable remit to share horticultural knowledge focused on encouraging more young people to participate in the Show this year, an objective that was achieved in abundance. Prizes were awarded to the winners of the Competitive Classes by CGS President, Charles Fox and John Waldie. Cornish royalty, Kernow King and award-winning horticulturalist, Liam Shoesmith presented the prizes to the winners of the Children’s Competitive Classes. 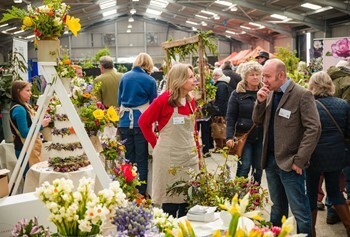 The CGS 2020 Spring Flower Show will be held at The Royal Cornwall Showground in Wadebridge on Saturday 4th and Sunday 5th April 2020.